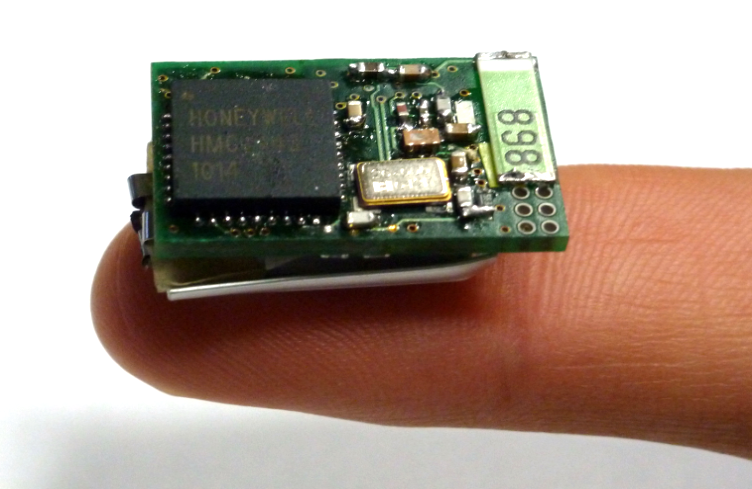 The Telocate µIMU (“Micro-IMU”) is a miniature inertial measurement system for portable applications with equivalent performance as the commercially available systems at much smaller dimensions. At a size of only 22 × 14 × 4 mm, the Telocate µIMU has a radio interface in the SRD band and an integrated power supply (Li-Ion). The measurement system is calibrated at the factory and can be used completely independently for various applications immediately. The Telocate µIMU allows infrastructure-less tracking of the path traveled by pedestrians both indoors and outdoors. If the µIMU is integrated into the shoe or attached to the foot, by measuring the acceleration and rotation, the speed and position of the foot / shoe can be determined. The algorithmic toolkit developed by Telocate supports step detection and the so-called “zero velocity update”, which minimizes integration errors. 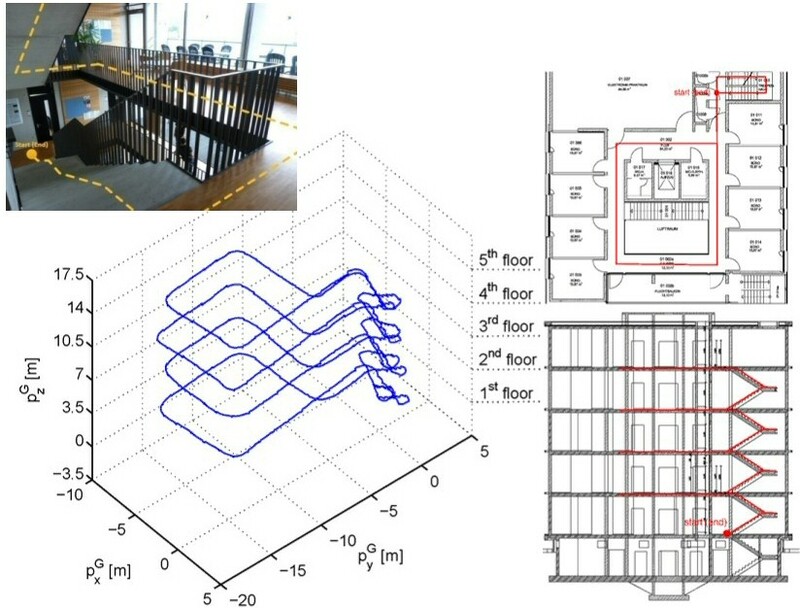 By classification of movement patterns can be detected, whether the pedestrian moves on the plane or on a staircase. Hereby a complete 3D position tracking and navigation within buildings is made possible without the need of references and external infrastructure. Apart from that, the Telocate µIMU is suitable for motion analysis in the areas of sport, health, medicine and biology. For example, with the software toolkit of Telocate an analysis of vital data and activity monitoring of humans and animals based on inertial measurement can be performed. Telocate provides appropriate algorithmic solutions for a multitude of applications.